Cardboard Collections: Can a baseball card cause a heart attack? Can a baseball card cause a heart attack? If you follow my Facebook page for the blog then you would have known that Sunday evening I nearly had a heart attack. No, my health is fine...thanks for the worrying. What caused this was what I found sitting inside a discounted blaster of 2015 Topps Allen & Ginter I was sorting. I'm way behind on organizing 2015, 2016 and now 2017 A&G. I didn't have them in pages/binder yet alone have a want list created for 2016 before a few days ago. While going through these opened packs, I had set aside the minis since I usually don't do much with those. As I was doing so, one card caught my eye as the front was a little different than the others. It was glossy instead of the normal matte finish. I looked at a pack and saw the odds were 1:2,167 for a glossy mini parallel. 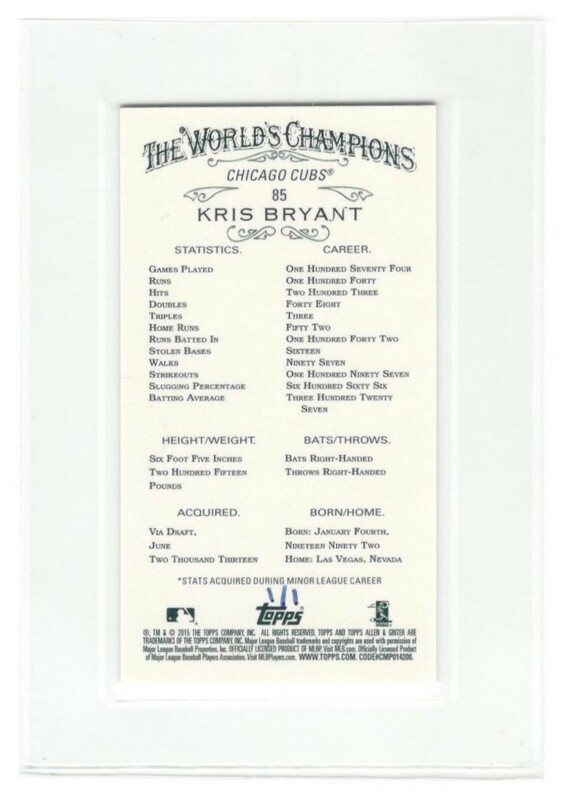 I thought cool, it's of Kris Bryant RC...perhaps I can trade this for something good. Then I flipped the card over and saw it was a 1/1!! Cue heart attack. I never have good luck buying packs. Its rare these days I buy a hobby box/packs so most of my purchases come from retail outlets like Target and Walmart. After I composed myself, I took my latest find to social media to try and figure out what I should do. I was given all sorts of advice before I settled on listing it on eBay with a starting bid of $9.99. The Sewingmachineguy (remember him bloggers?) gave me some of the best advice. Just toss it on eBay and let the market decide it's worth. Within hours of putting it on eBay, the price jumped to $50, then doubled to $100. The auction will run until Sunday morning, 08/13/17. While I hope it brings in a nice amount, I just hope someone gets it that will cherish it as a part of their collection. ** EDIT ** By request, here is a link to the auction. This is easily the best pull that I've ever had. It just kills me that its been sitting right there underneath my nose all this time and I never knew it! Dang. It almost gave ME a heart attack and I'm just sitting here reading about it. I would love to have that, but there is no way I will ever pay what you'll end up getting for a card. Nice pull! 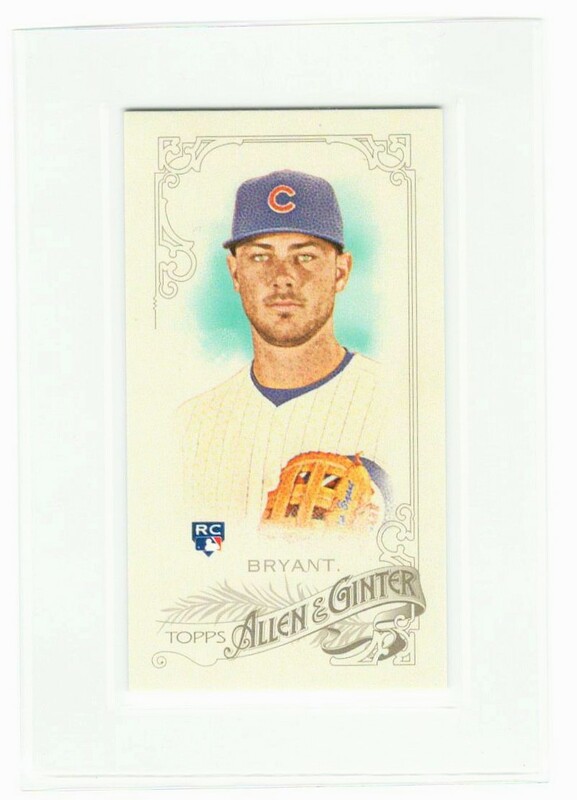 I may be gambling listing the card on eBay with no reserve...but I essentially paid $12.99 for the blaster and the card sat in that box on my shelve for near a year before I discovered what I had...so whatever it sales for will be OK. I believe it's currently sitting at like $125.00. Wow, that's quite a hit! Wow. Talk about finding a hidden treasure. 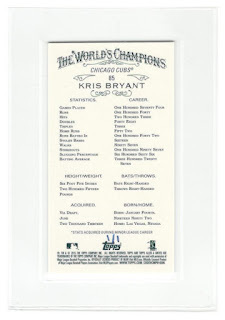 Can't even begin to imagine what the final sale price is gonna be, but gotta imagine a 1/1 rookie card of one of the most popular players in the game is gonna fetch some serious cash. Congratulations. We'll see what it finally sales for Fuji. A lot of people have told me I should get anywhere between $300 and $1,000. The auction currently is at $125.00 I think. While I would like a big pay day of course, I'll be happy w/ whatever I get. Welp, that is pretty awesome! You should edit this post to link to your auction. Can't believe I didn't put the link to the auction in the post! Edited it this evening...done! That's crazy! I just sold an A&G card for $110, but you'll get a lot more than that! I think I'll go out and get a blaster! Less than 12 hours left to bid Cubs fans!